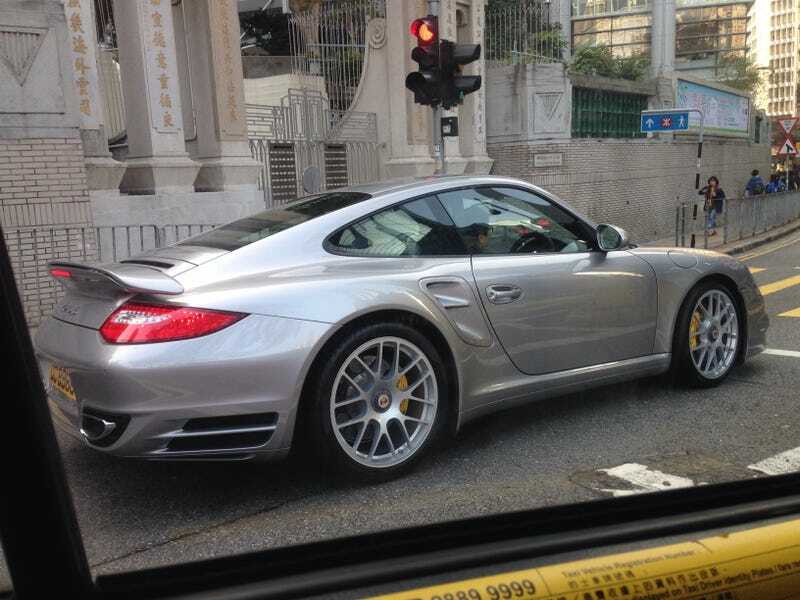 A 997 Turbo S, which is rare even in HK. RS Spyder centre lock wheels and carbon ceramic brakes, being driven by a little old lady around the city. Oh well, at least it's being driven.